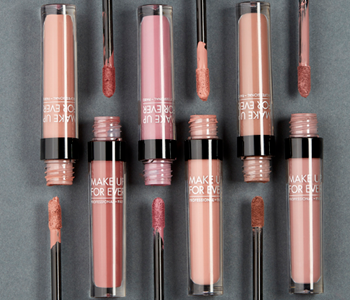 Reinvent yourself with the MAKE UP FOR EVER Artist Liquid Matte collection, a range of 15 transfer proof liquid lipsticks with a long-lasting matte finish. From subtle neutral pinks to bold, vivacious reds, the MAKE UP FOR EVER Artist Liquid Matte range has a lip colour for every mood and moment. A must-have option for someone that’s mad about matte, the Artist Liquid Matte formula offers intense, high-impact matte pigment in a nourishing and long-wearing formula. Whether you’re a makeup artist or makeup enthusiast, choose the MAKE UP FOR EVER Artist Liquid Matte to create statement lip looks.